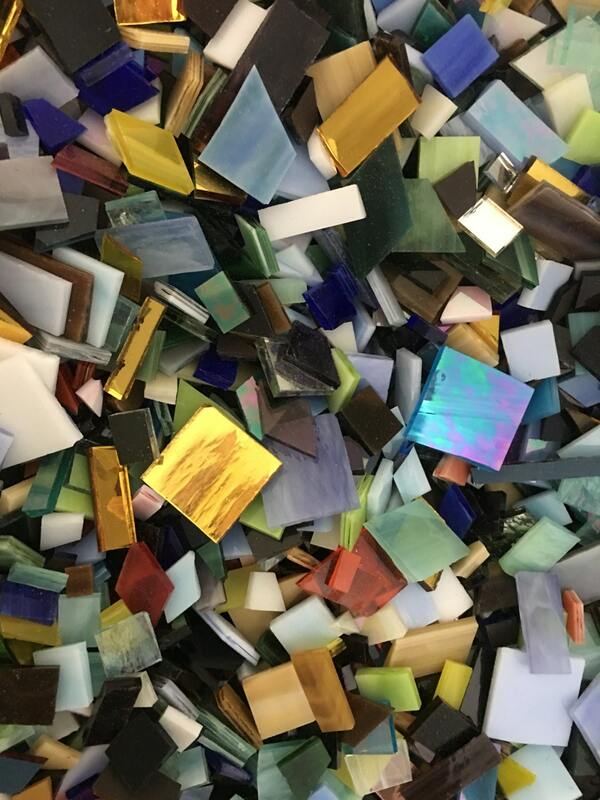 These mosaic tiles aren't really "scrap", They are really just irregular shapes and sizes of our regular tile. 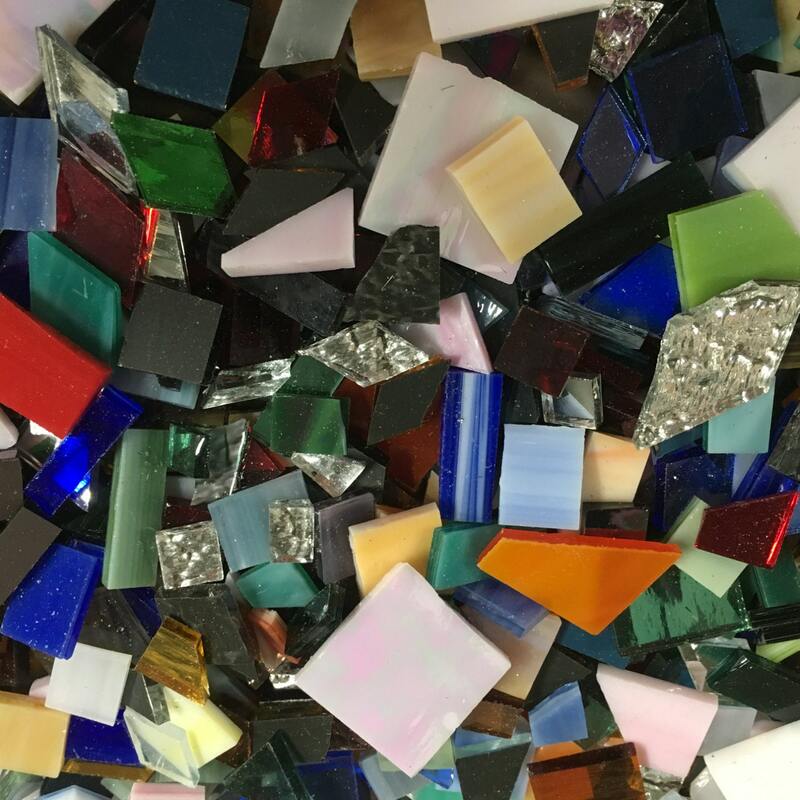 You will find squares, rectangles, diamonds and trapezoids cut from stained glass, mirrors, iridized stained glass, waterglass, all of the glass that we offer in our store. 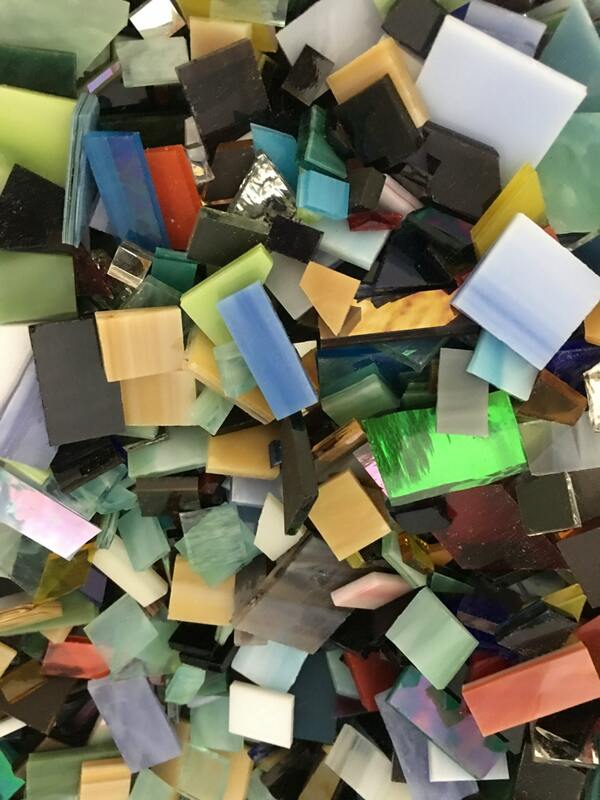 This is a great "grab bag" of material that is perfect for mosaics, jewelry, or even a kaleidoscope, any project that requires randomness. Stained glass weigh about 1 1/2 pounds per square foot, so this bag of tile should cover 2 square feet with no spaces between the tiles. All orders ship via USPS Priority Shipping for one low cost. Additional items ship free of charge. Just as advertised, Arrived quickly and in excellent packaging. Nice selection of glass in the shipment. 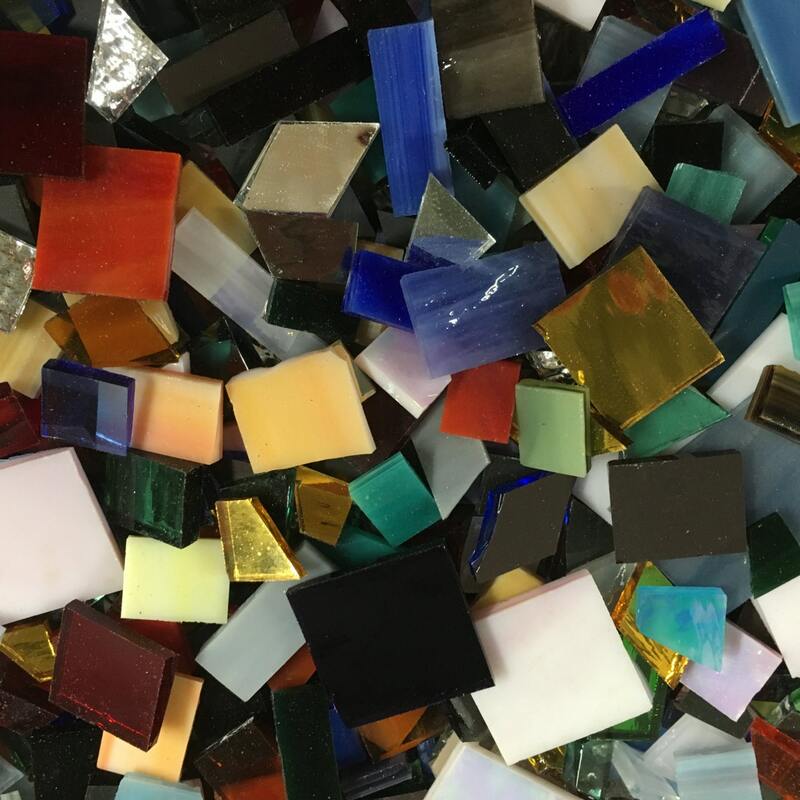 The pieces of glass are perfect for a mosaic project - a wide variety of sizes, shapes and colors were included! I first have to say that Robin is AWESOME! There was a little glitch in the Etsy payment system. My order showed that I hadn't paid when my bank account showed the payment had cleared. I messaged Robin and told her that I was concerned. She said not to worry, that we would wait a little while and see if it went through. I decided to wait overnight. The next morning I got a message from Etsy saying that my order had shipped! I was SO excited! My picture shows what my intention is for most of the glass pieces I got. 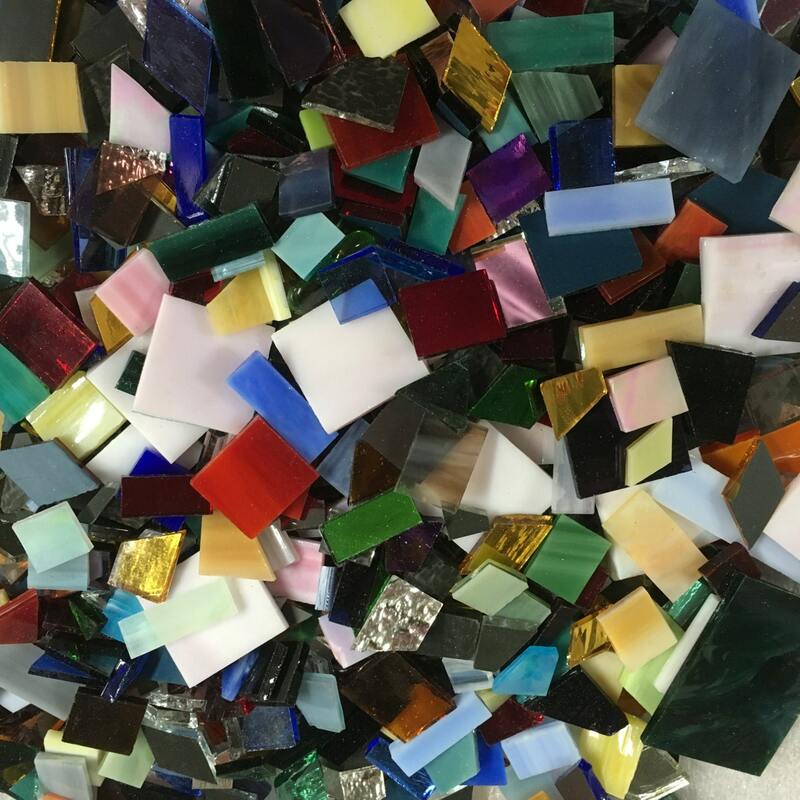 I'm not a traditional stained glass artist, I'm really just beginning to work with glass that doesn't have holes in it (i.e., beads), and the different colors and textures completely intrigue me. I'm using the tiles to make suncatchers and to practice wire wrapping. I'm excited to be working with these glass pieces!